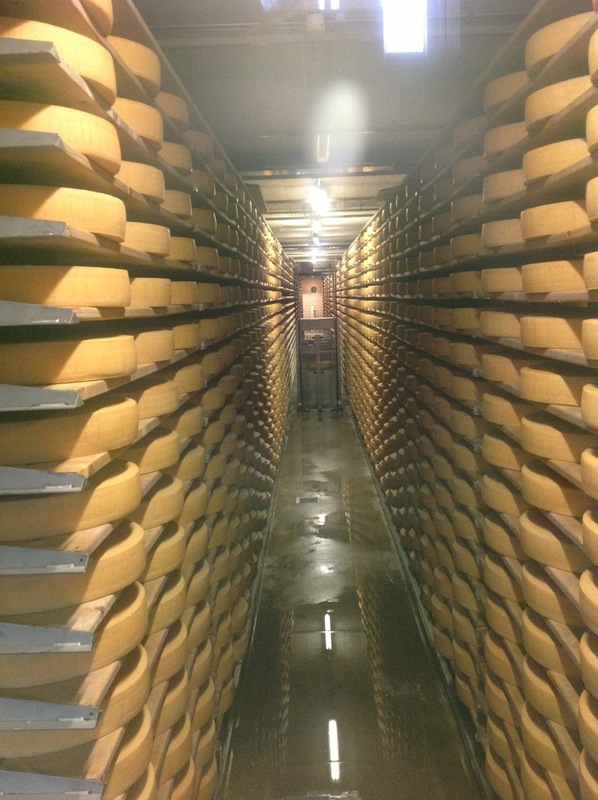 Once I got my "train legs" you knew it wouldn't be long before I found myself in cheese country. 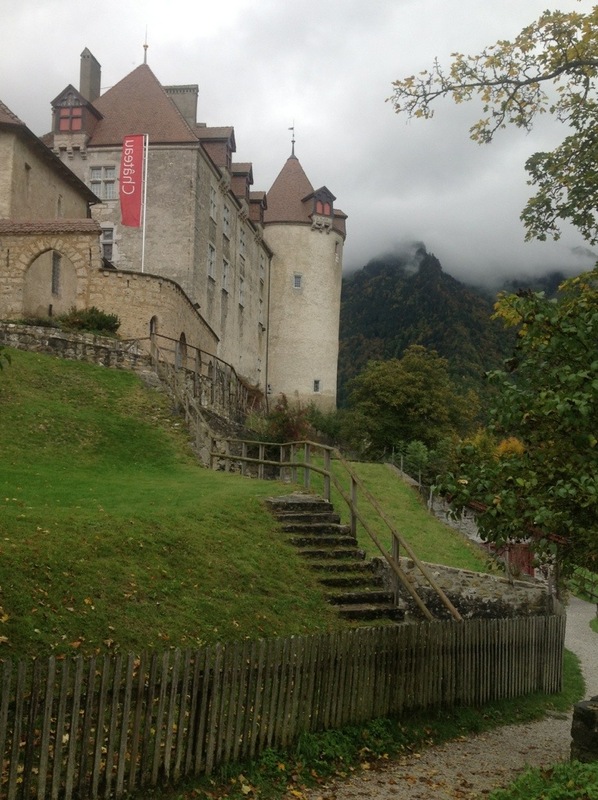 Roughly two hours and four different trains took me this week to Gruyere one day and Neuchatel the next; two great towns in the heavily French influenced western part of Switzerland. The train rides alone in this part of the country could be day trips in themselves. Bright green rolling hills and pastures filled with meandering cows and sheep. Small towns that the trains quietly creep in and out of. It's clear why the animals ultimately produce such great tasting cheese in this region. It is just so darn peaceful here. 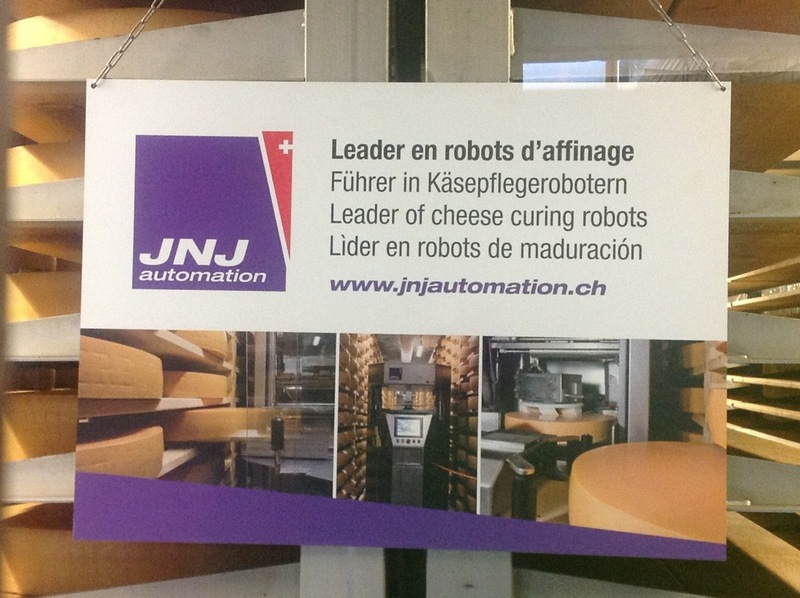 I was really excited to check out the medieval town of Gruyere and its renowned cheese-making factory, La Maison du Gruyere (see pictures below). Maybe a little too excited as I polished off the three samples of cheese they gave me before the tour even started. We'll call it research. This factory produces the majority of cheese from the area for public consumption/export and their processes are pretty amazing. 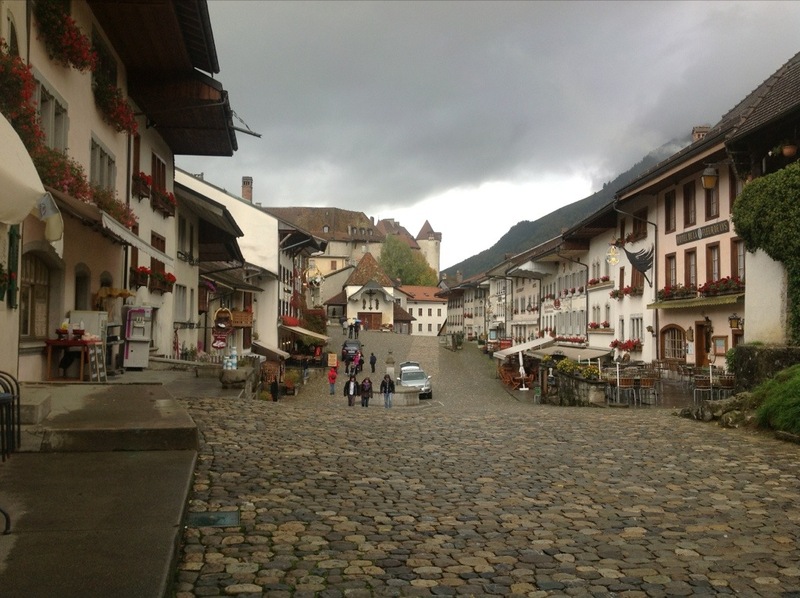 The town of Gruyere, with its towering castle hovering above its main cobblestone street and overlooking the pristine pastures, is picture perfect. 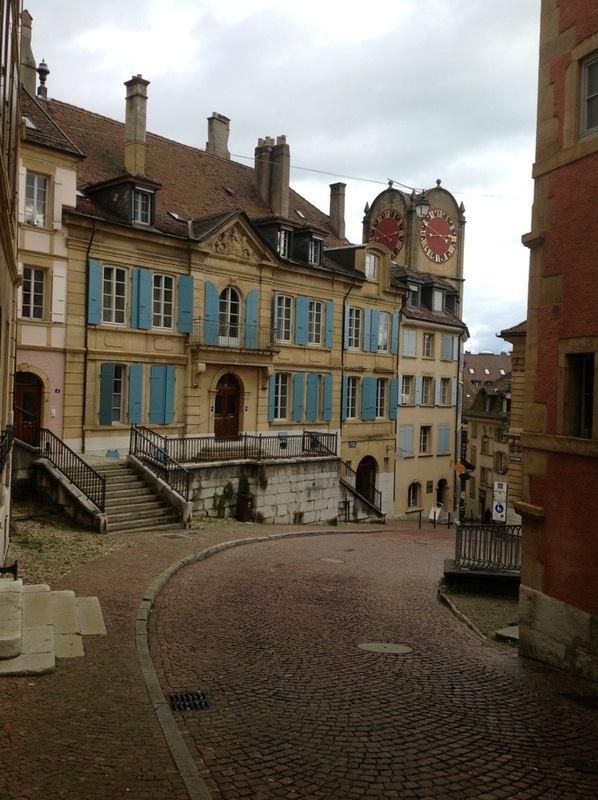 Neuchatel is a bigger, more modern town on a lake that still seems to have retained its charm and historic appeal. It is one of those places that doesn't look like anything special at first glance when you arrive but brings a smile and wow factor as you aimlessly amble through the streets. I do a lot of aimless ambling by the way which I find is when I uncover the most unexpected things. 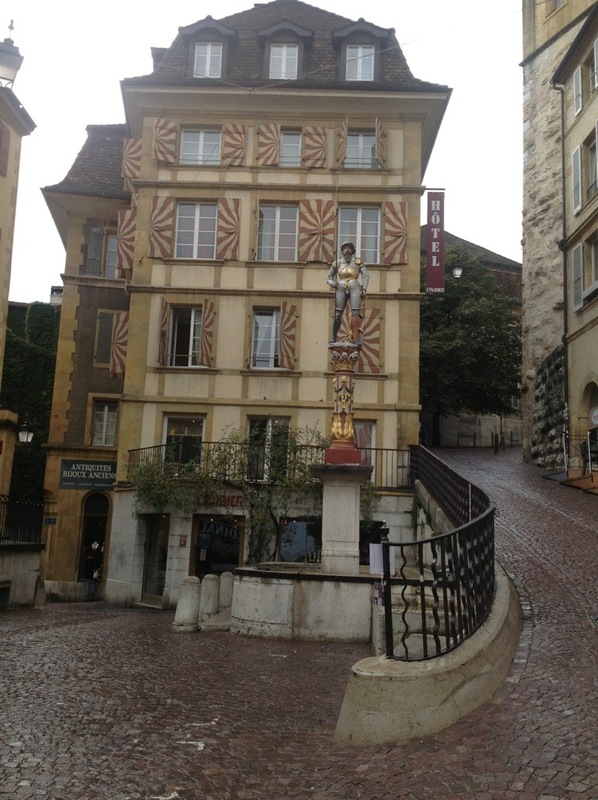 Neuchatel has a charming old town that I loved; particularly the steep, windy cobblestone streets with cool fountains (see pictures below). The Neuchatel area is well-known for its watchmaking so I will likely be heading back there to stimulate that local economy by buying one. It's the least I can do to thank them for their trains being impossibly on time. 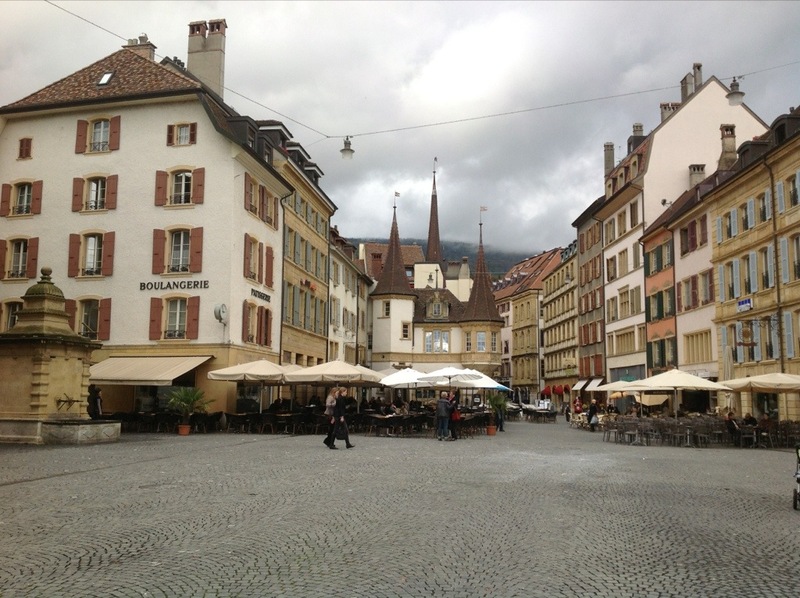 I will mention that although I knew this part of Switzerland is heavily French influenced, I did not realize just how much. 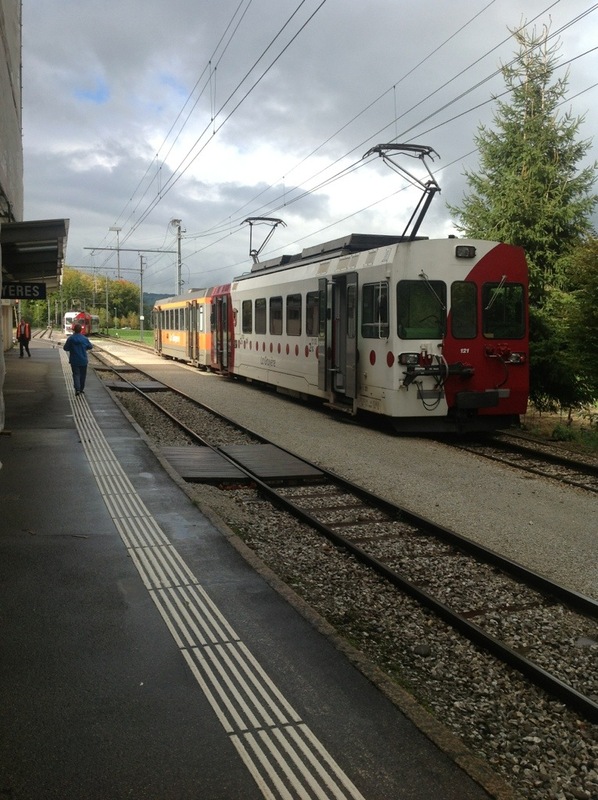 I got on the train hearing German in Bern and got off to switch trains 30 minutes later in Fribourg hearing French! It is the main language they speak in that part of the country so my proud handful of German phrases went out the window. Thankfully my years of studying French came to my urgent rescue and I was surprised how intuitively simple words and responses came to me. Finally! A purpose for that French menu I had to create in 8th grade!